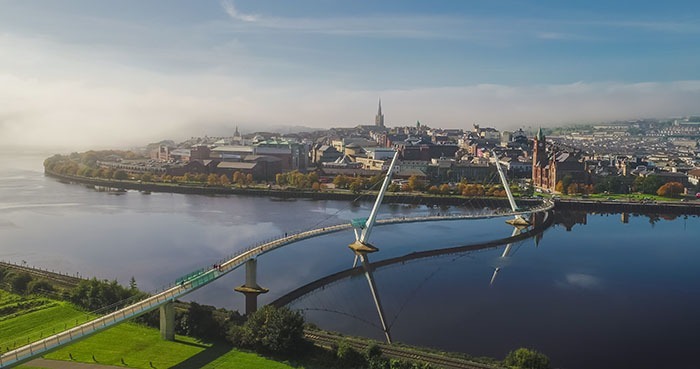 Peace Bridge has become an iconic structure for the city, connecting the two sides of the River Foyle. Since its launch in June 2011, the bridge has been embraced by citizens and has radically changed the way people perceive the city. With over three million crossings to date, the Peace Bridge has become a focal point in city activities and events, including the New Year celebrations and launch of City of Culture year, the gateway and back drop to Radio 1’s Big Weekend, the stage for Lumière installations and several charity events such as Brides across the Bridge.